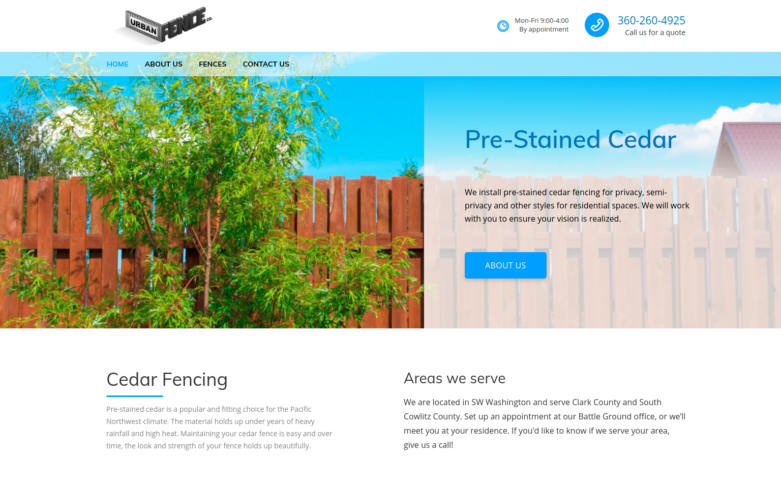 Urban Fence Co. is an exisiting fence installation company that recognized a need for an online presence. They needed a website that could give potential clients a sense of their work, while also directing visitors to contact them to set up appointments and/or free estimates. These are some of my favorite projects to work on independently, as I’m able to design, develop and launch the site in a relatively short time-frame and within a budget for the business owner. This site is able to grow as the needs of the business grows.